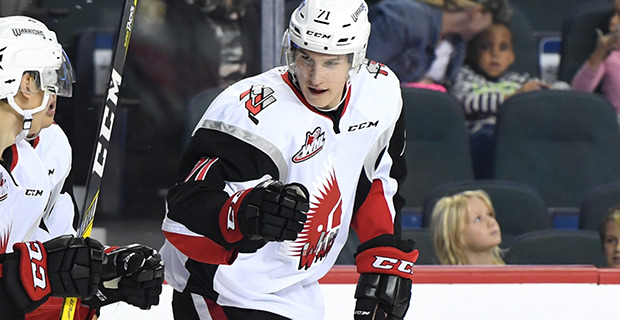 This week’s prospects include Nikita Popugaev (Moose Jaw Warriors), Michael DiPietro (Windsor Spitfires) & Jocktan Chainey (Halifax Mooseheads). The one standout skill Popugaev has is his coordination for a kid his size. Takes big strides and is tough to catch up to when in full flight. Lacks a sense of urgency to get back and back check. One dimensional offensive threat, Popugaev’s size and shot have proven to be what makes him such a weapon. Puck explodes off his stick. Quick, heavy release on his snap shot. Loves to shoot and is naturally skilled. Opposition bounces off him when going for a hit. He has underrated edge work and agility and can dominate the perimeter play with puck protection and the ability to win one on one battles with his size. Lacks a physical and toughness part of game which is odd given his size. He needs to work on his intensity and become more assertive outside of the offensive zone and needs more consistency in his game. DID YOU KNOW? In the spring of 2015, Popugaev managed to win the fastest skater contest at the KHL pre-draft show. Not too shabby for a 16-year-old kid who stands 6’5 and 200 pounds. Also, he’s a second-generation player whose father Andrei played with Moscow Dynamo and Spartak. 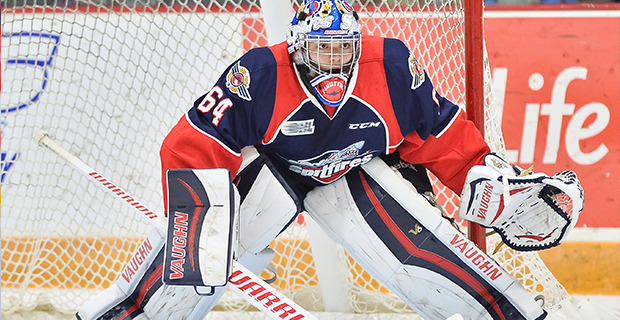 DiPietro took over the #1 job early in his 16-year-old season and had a great taste of playoffs. Great coverage of the net with tremendous reflexes. Real quick to get down to the ice to block shots and gets back up as quickly as he went down. Good anticipation and can read the puck well and seems to know whether the forward will cross the puck or shoot. Always in good position. An underrated puck handler who can move it up the glass or pass to his defenders. Focused in his own net and is determined to get better each game. Controls rebounds and shuffles well post-to-post and stays with the puck. Ultra-competitive and hates to lose. Not the biggest goalie but covers a lot of the net. His movement isn’t forced and he controls his rebounds extremely well. DID YOU KNOW? While only 20 miles separate his home in Amhertsburg from the Spitfires’ home rink, the WFCU Centre, DiPietro chose to live with a billet family in nearby Tecumseh to get the full OHL experience. Chainey is a poised, controlling defenceman who can play both roles of an offensive defenceman and a defensive defenceman. Chainey is rarely caught out of position and is a solid skater in tight but needs to work on his man-for-man coverage as he is not overly physical and tends to lose his check. Not a huge point producer. In his rookie season, Chainey posted 5 goals and 18 points in 46 games between Shawinigan and Halifax with a combined 14 penalty minutes. Offensive defenceman just starting to scratch his full potential. Solid NHL size. High mobility. Confident on the PP this year. Can play the physical game but needs to get stronger. May be a guy that becomes well-rounded or all-out offensive, hard to tell right now. Lots of skills to work with there. Big upcoming year for him. DID YOU KNOW? 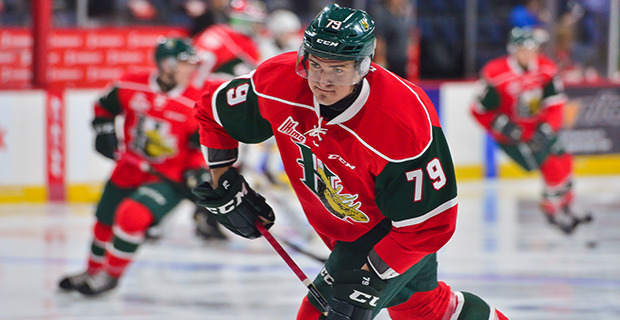 Originally selected by Shawinigan in the 2015 QMJHL Draft, Chainey dressed in only 14 games for Shawinigan as a rookie in 2015-16 posting 1 goal and 6 assists before being traded to Halifax along with a 3rd round draft pick in 2016 for Cavan Fitzgerald.